Hello friends! Often people think that I am a far more skilled sewer than I really am. 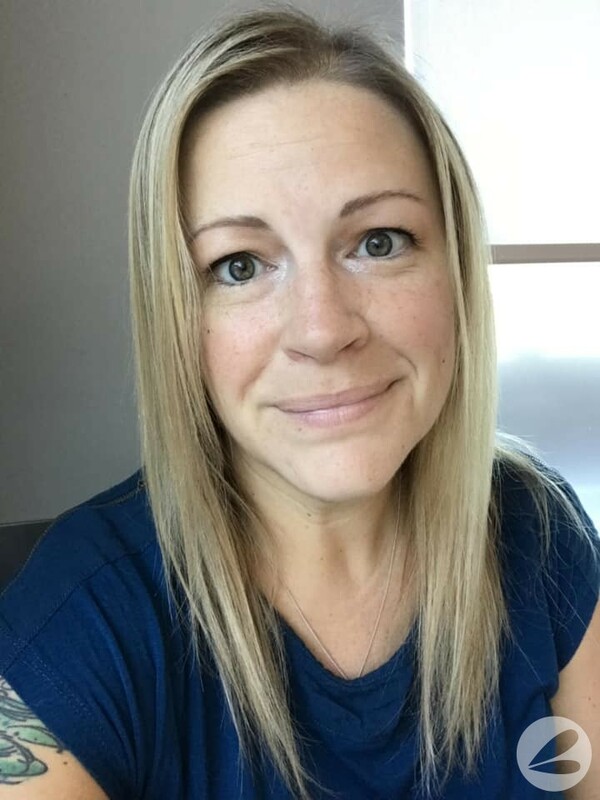 I purchased my first sewing machine after the boys were born and taught myself “straight line sewing”. That is, I know enough to sew a straight line! 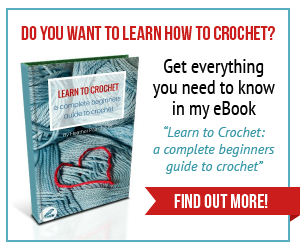 LOL Over the years I have practised and grown my skills but I still consider myself a beginner. 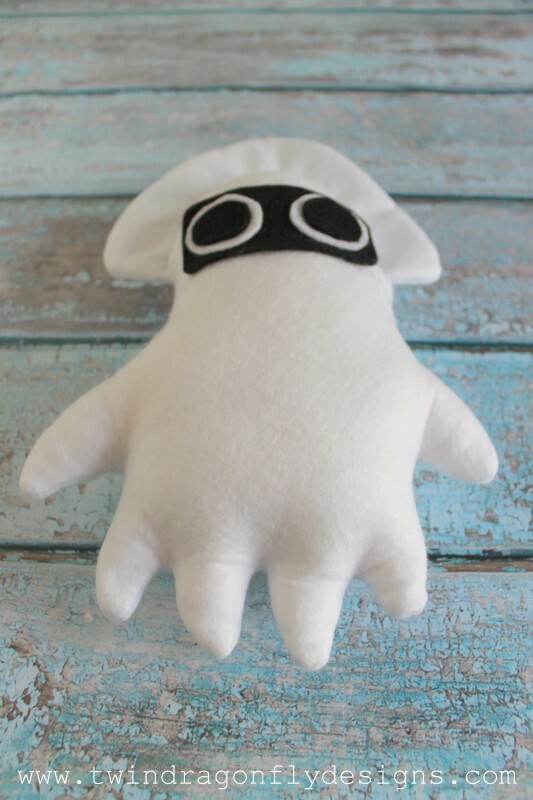 This Mario Squid Plush was a special request from the boys and the perfect beginner project! My kiddos have a lot of loves and one of those is a love for everything Mario. 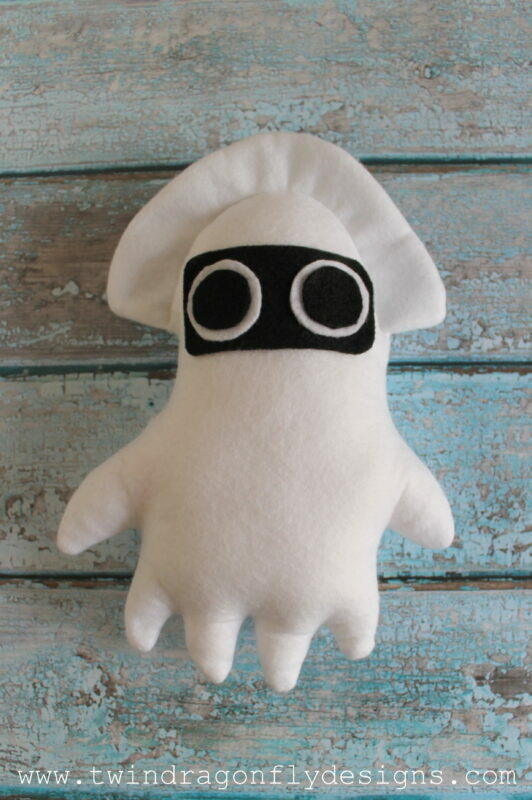 They have a large collection of Super Mario stuffies and asked me to create this squid to add to their treasury. It is probably the easiest of all of the characters to make, much to my relief. I literally whipped up two of these guys in 30 minutes and only took a few photos of the process with my iPhone. 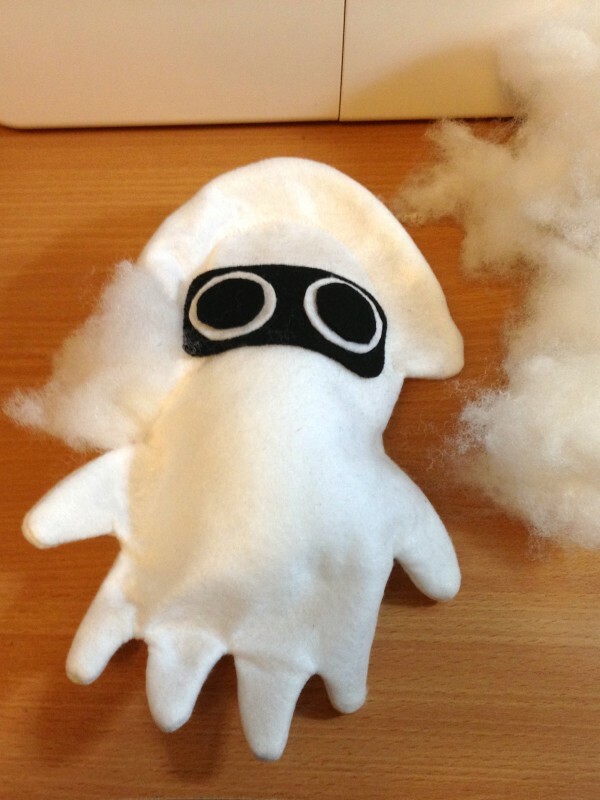 Step 1: sew the two pieces of white felt together in the shape of a squid, keeping a 2″ hole open for inverting. Trim excess felt material around the area sewn. 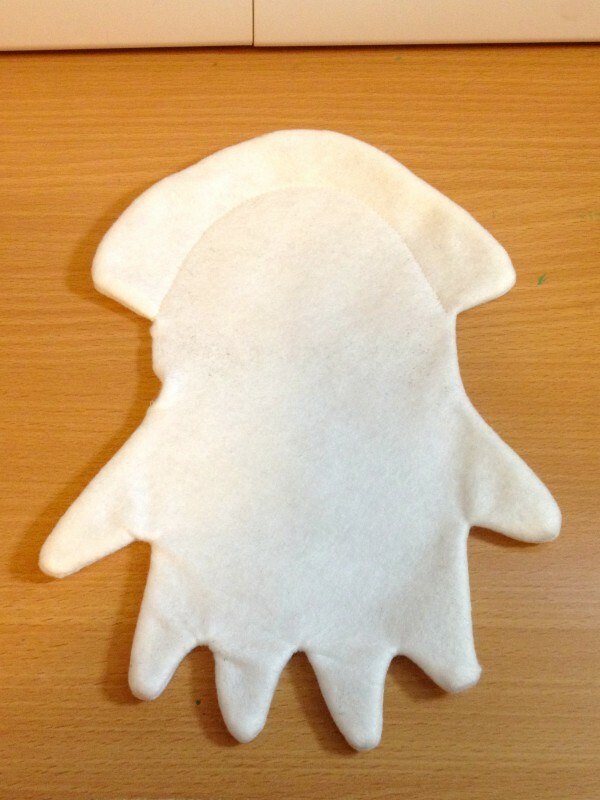 Invert the felt so that the right sides are facing out. 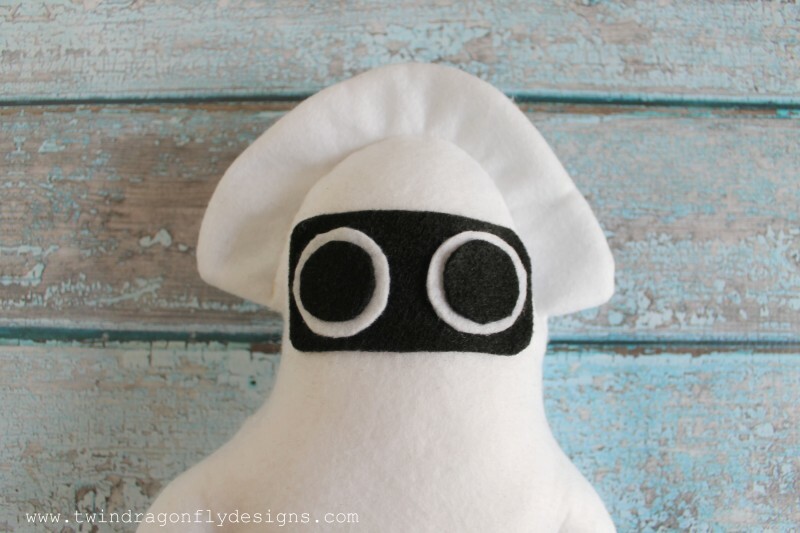 Sew a line 1″ from the top to create the fan on the head. 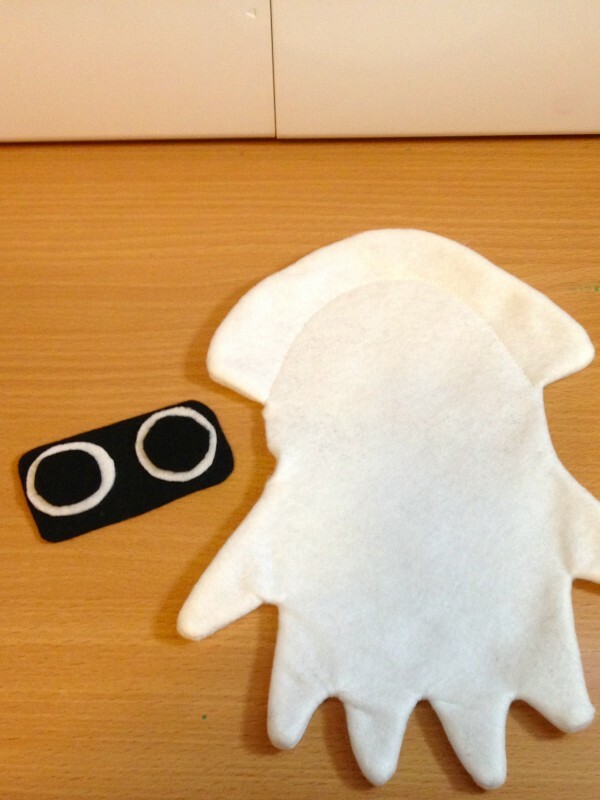 Step 2: cut eyes out of the scrap felt. 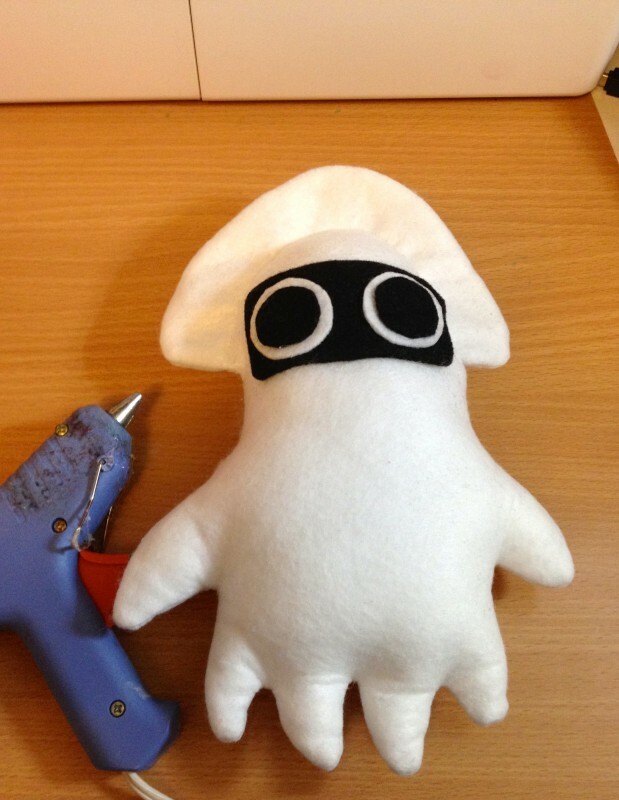 Glue the eyes to the body. You could sew them on at the beginning too but this was a quick, make the children happy, project for me. Step 3: stuff the body with poly fill. 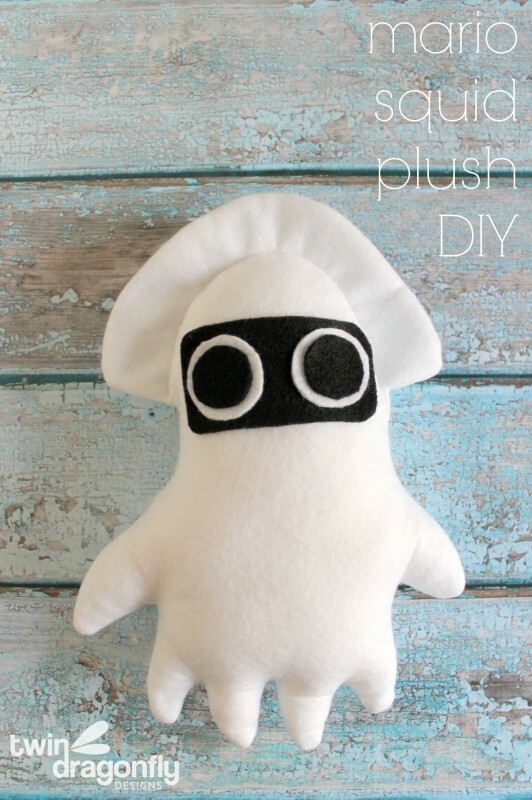 I used a chopstick to push the stuffing into all of the little legs. Step 4: finally glue the opening closed. Or sew it closed. Again this was a quick project for me that I don’t plan on putting in the laundry so glue works for me. Do your kids have crazy creative requests? Or is it just mine?